Sandwiches are one of the best and most delicious meals around. It is so easy to prepare a sandwich, that even a 3 years old can do it. Practically, this makes it possible for almost everyone to get in such a business without meeting any significant obstacles in the production process. This is a simple business that is not protected by any big barriers like know how, high initial investment, special skills or anything like that. Having this in mind, it may not sound that strange, that a sandwich company got into the top 10 franchises in America. Someone would say that they just took advantage of one of the easiest businesses in the world. But why doesn’t anyone do this, then? Because things are not like that. Just because making a sandwich is so simple, the competition there is not only really strong but also it is usually higher than most of the sectors in the economy. You would need excellent management and leadership skills to be successful in this field. This is why the story of Jimmy John’s Gourmet Sandwiches is so amazing. Here we can learn about the things that make the difference between success and failure, and they are not related to the type of business one decides to run. Jimmy Jones Sandwiches logo and website. As many of the greatest businesses, Jimmy John Liautaud started his Sandwiches Franchise really small – with just a single shop. At the beginning he never intended to run a multi-million corporation, he just was passionate about getting early in the morning and making delicious meals. This thing was giving him joy and pleasure and he loved doing it. But even though Jimmy loved his business, things didn’t start so smoothly. When he was in high school, the young Mr. John wasn’t as bright in studying, as his parents preferred. And after he graduated at almost the last place in his class, his father gave two options to him – to start a business or to join the army. The boy didn’t want to be involved in the military, so he decided to get the $25 000 in seed funding his dad provided (obtaining 48% of the new venture) and start a hot dog selling business. But not a long ago, Jimmy realized that the hot dog niche was really competitive and he had to invest more money and efforts than he had. This is how he decided to switch to selling sandwiches. This was how, on the 13th of January, 1983 the first Jimmy Jones shop was started in a small garage in Charleston. His rent was around two hundred bucks per month and he could only afford to have a used refrigerator, an oven, and other second-hand equipment. But that was really enough for making a business. Soon his sandwiches became very popular in the nearby Eastern Illinois University. The students there liked the meals and this was how he started expanding. Two years later he had the money and bought back his father’s 48% stake in the company. Also, this was the time when he opened his second store in the near city of Macomb. 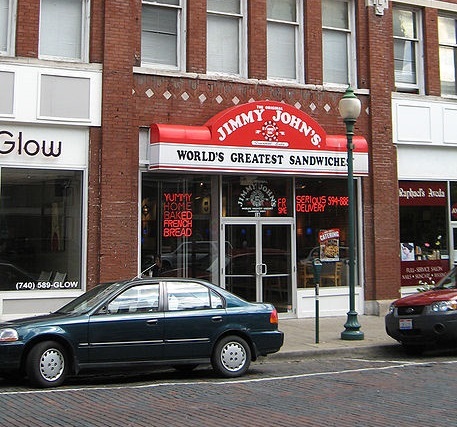 Another two years later (1987), and Jimmy John had a third store in another city – Champaign. His business was going really well and he was spreading around the state. But this was just the beginning. A store of the Jimmy John’s Sandwiches chain. In the years that followed, Liautaud opened some more branches around the state. But his potential to expand was limited by the fact, that he was the only person, who had to manage the fast-food chain. This is why he decided to build a franchise out of his venture. He started selling his business recipe to anyone, who had the money. The first franchise branch was opened in Eau Claire, Wisconsin. By the year 2001, Jimmy John’s Gourmet Sandwiches had 100 franchise stores. And even though this was great, things were not that perfect. Jimmy later shared, that he expected any of his franchisees take the business seriously like him (one of the success factors we talked about in the beginning). He thought that the franchise manager would get up early with his passion, but actually, all of the external stores were losing money. In order to improve his business situation, Liautaud took some important measure that would help his food chain continue its expansion. He stopped selling franchises and took the time to visit any of the external stores to help their owners with the management. He significantly improved the processes of selection and training for the new franchises. Soon, his food empire went back to growth. 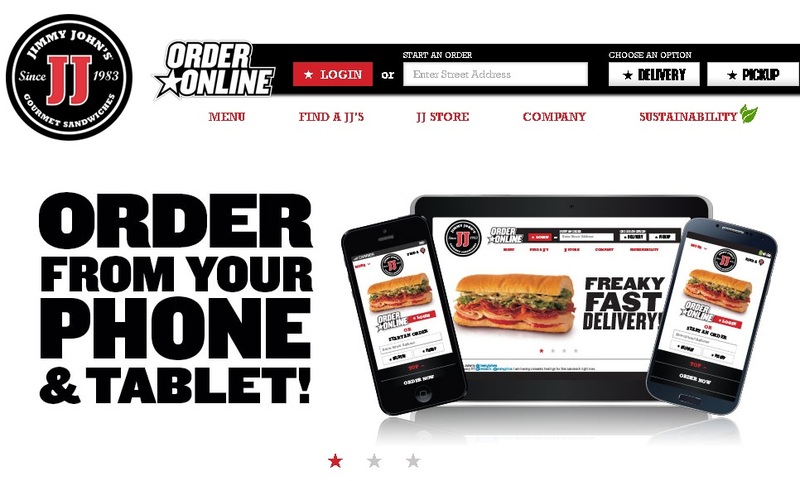 Today Jimmy John’s Gourmet Sandwiches is in the Top 10 franchise companies in The United States. More than 270 stores were opened in 2013 and another 330 will be opened this year. Mr. Liautaud says that he is more in the services business than in the fast food sector. And even though anyone could make delicious sandwiches, not anyone can provide as great service like that in his stores.